Showing 1 - 6 of 6 articles tagged "Friends From College"
"Friends from College will not be returning for a third season," tweeted co-creator Nicholas Stoller Monday night. 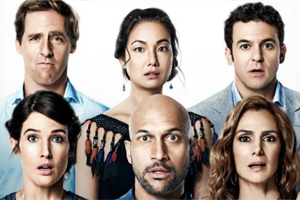 The Netflix comedy is already the "most improved" show of 2019. The Netflix comedy drops its second season on Jan. The ensemble comedy will drop all eight episodes from its second season on Jan. Her appearance as a "Park Avenue WASP personified" reunites her with How I Met Your Mother alum Cobie Smulders. Scorned by critics, the comedy about self-hating Harvard grads has been renewed.